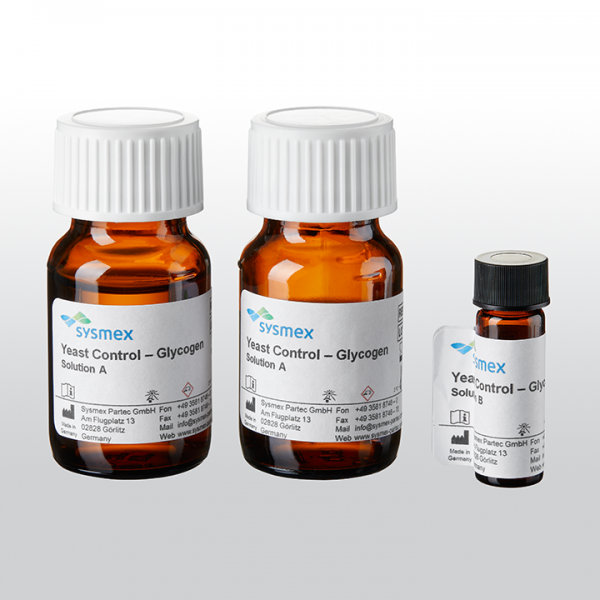 Reagent kit for measuring glycogen in yeast cells, following a cell fixation step. Glycogen content varies during the fermentation process: it is accumulated in yeast during the early exponential phase and utilized during nutrient depletion. The reagent has been created specifically for selected configurations of the Sysmex CyFlow Cube and CyFlow Space flow cytometers.